Some years ago, my friend and college Chandra Wickramasinghe gave me to study a thick manuscript written by him and Fred Hoyle showing that Charles Darwin had not originated the idea of natural selection, but instead gave most of the credit to another English naturalist called Edwin Blyth. Chandra and I agreed that I would edit the document and prepare it for publication. In the end however, Hoyle’s family refused their permission for this after concluding that Fred had soiled his reputation by getting into too many controversies; suggesting that Darwin’s contribution, they thought, was a heresy too far. So I was left with an intriguing, but unpublishable document. An article which I wrote on Patrick Matthew (for the Microbiologist in 2010) discussing his contribution to evolution as well as the germ theory. Richard Dawkins criticise creationists for warping the truth and spreading falsehoods, especially to young people, but he and his fellow Darwinists continue to do exactly the same in order to shore up their hero worship of Darwin! Fortunately, the role of pre-Darwin evolution pioneers is now increasingly be recognized and papers on Matthew, for example, are beginning to appear, which just shows that the Establishment cannot forever keep the truth away from the public. 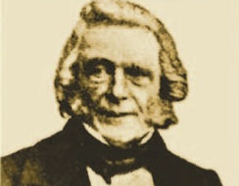 In addition, it is newly discovered that Selby cited Matthew’s book and then went on to be Editor of the magazine that published Wallace’s Sarawak paper. This too uncovers a clear ‘knowledge contamination route’ between Matthew’s (1831) original ideas and the later replication of them by Wallace. Picking up on your criticism of Dawkins, does he now believe that just as The Blessed Virgin Mary was surrounded by men whose testicles were to some degree fertile and ye still conceived a child by supernatural means involving no human sperm that Darwin and Wallace – whilst surrounded by men whose brains were fertile to some degree with Matthew’s original ideas and his unique explanatory examples for them conceived the exact same ideas and examples as virgin conceptions? Perhaps Dawkins thinks Darwin and Wallace were divinely gifted with cognitive condoms?